Zack Snyder has a distinct vision when it comes to directing movies, and now after a few quick words with french site Filmsactu.com we get a handful of hints as to how that 'super vision' will be applied to his Superman: Man of Steel. "No links" is the best move for this film in regards to both talent and plot. Touching the first Reeves films borders on sacrilegious, so a fresh start would show audiences why Superman is still relevant, and that he's more than just that guy who just stops Lex from destroying the American coastline to reap the property rewards. "Early days" gives me the gut feeling we are heading towards both more of a Kryptonian culture injection, as well as something similar to Mark Waid's killer miniseries Superman Birthright. 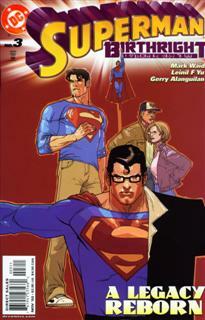 A 12 issue tale which included Clark tripping round the globe, trying to decide if 'Superman' is the career path for him. 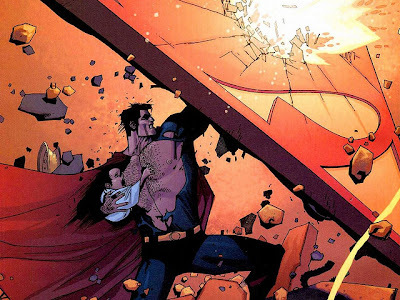 Folks have already mentioned The Man of Steel wont be an origin story as audiences already know Jimmy, Lois and Perry, so this would make a pretty sweet halfway point. While Snyder said the film won't be based on one comic, that's a little different to being inspired by one. Either way consider my interest officially stoked to see where this icon is heading next. As long as it doesn't become Clark as angsty teenager, I'll keep an open mind about it. Hey Liss, I thought about the 'Smallville' connection too and I'm hoping they stay well clear of that piece of work.